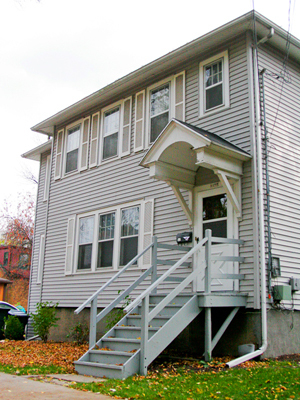 A charming two story building filled with lots of character and nestled in the heart of campus. Just two apartment homes make up this community which provides for a quiet environment to study, relax and enjoy your living experience. Milton street has unique, cozy floor plans with 3 bedrooms, 1 bathroom, large kitchens and a great dining area. FFR apartments has an exceptional management team that strives hard to provide excellent, attentive and friendly service. In fact a majority of new prospective residents are referred to us by our current residents. We look forward to meeting and working with you to make your new home the best it can be! Please note Water and Trash Pick-up are included in the rent.